The whole SUV gamut is one we can’t get enough of, which is why the Geneva Motor Show is full of them, big and small. Some of these you might classify a ‘crossover’, but they all stick with the SUV blueprint in most ways. Here’s a look at the best high-riding hatchbacks currently sitting on a stand at the 2016 Geneva Motor Show. 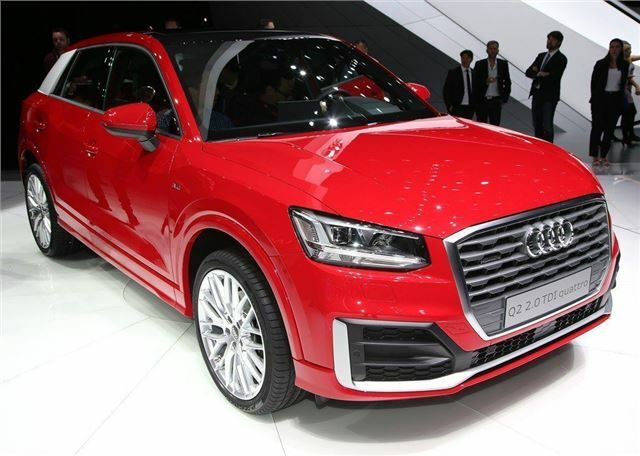 A little shorter than a Q3 but with a whole lot more personality, the Q2 is Audi breaking free from its Russian Doll design philosophy. That’s specifically to attract “younger buyers”, which is a euphemism for “not boring people”. Therefore it will also get a more exciting colour palette to try and tempt people away from the usual black, white or silver when it goes on sale around July this year, priced from £22,000.